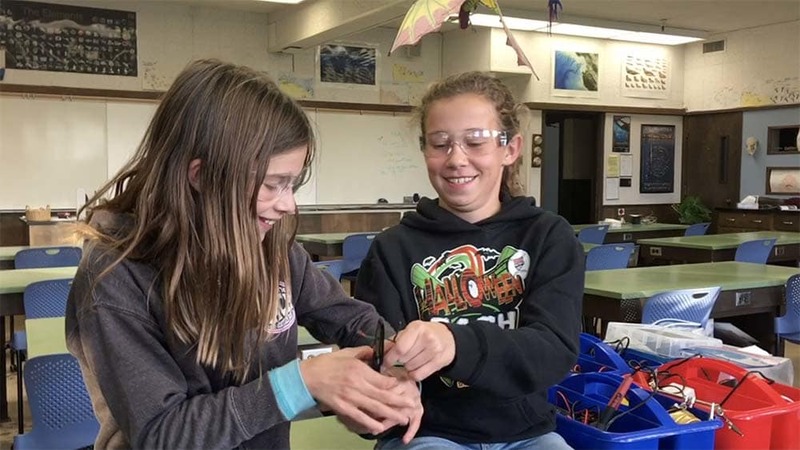 Middle School clubs and student organizations are academic in nature and give students the opportunity to pursue extracurricular activities and leadership positions. The goal of offering clubs and organizations is to introduce students to new experiences, tasks, and projects throughout the school year. By including these co-curriculars as part of the Middle School program, we enrich their school experience with activities beyond traditional academics. Clubs and organizations meet once a week. Students are given the opportunity to explore more than one club or organization during the year. Our electives program allows Middle School students to end the week in a fun and creative way. In contrast to our academic clubs and student organizations, electives emphasize the fun and recreational side of learning. Electives are held once a week, and offerings change at the beginning of each trimester. Student Senate serves as a voice and a role model for all Lower and Middle School students. Consisting of four officers and class representatives from Grades 4 through 8, the Student Senate works to encourage character development, values, and a sense of respect and responsibility. The offices of President, Vice President, Secretary, and Treasurer are held by Grade 8 students. In contrast to elected officers, commissioned officers are selected following an extensive application process. Student elections are held each May following candidate campaigns. Under faculty advisor supervision, Student Senate meets regularly to discuss the needs of students, school, community, and the global environment. Officers conduct the Middle School morning assemblies and speak at special events.